Beautifully renovated café and residential buildings in excellent downtown Westport location. Steps from Urban Outfitters and Spotted Horse restaurant and across the street from the future Bedford Square mixed-use development. 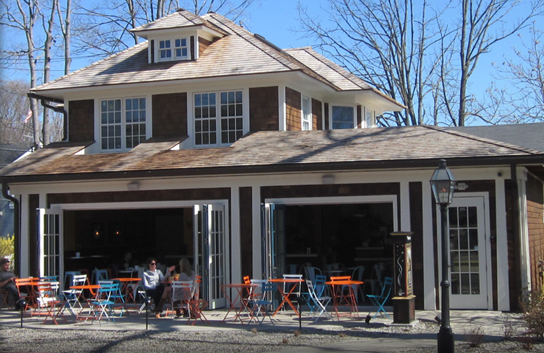 The front café building was fully renovated in 2013 and is now home to Aux Delices, a gourmet food market, bakery and cafe with multiple locations in Fairfield County.